Welcome to a classic edition of our weekly trivia challenge, in which we test your knowledge of all things fly fishing and where you might learn a thing or two about this sport we love. This week, we’ve got ten questions about fly-line terminology, . . . The post Take a Classic Phil Monahan Fly-Fishing Trivia Challenge 04.11.19 appeared first on Orvis News. The author poses at the headwaters of Alaska's Gibraltar River in 1995. When I decided that I wanted to spend my summers a fishing guide—I was in graduate school at the time—I didn’t really know how to go about becoming one, so I used a shotgun approach. I applied to literally every lodge and outfitter I could find in Alaska and the Rocky Mountain. . . The post Classic Pro Tips: How to Become a Fly-Fishing Guide appeared first on Orvis News. Welcome to the latest installment of the Wednesday Wake-Up Call, a weekly roundup of the most pressing conservation issues important to anglers. Working with our friends at Trout Unlimited, Backcountry Hunters & Anglers, the Theodore . . . The post Wednesday Wake-Up Call 04.17.19 appeared first on Orvis News. Edit "Video: Giant Olympic Peninsula Steelhead"
Here’s the second installment of the “Buffet Series” from Gilbert Rowley and Phil Tuttle. In this video, they chase wild steelhead on the Olympic Peninsula, near Forks, Washington. Fishing with Orvis-endorsed guide service Chrome Chasers, they seem . . . The post Video: Giant Olympic Peninsula Steelhead appeared first on Orvis News. 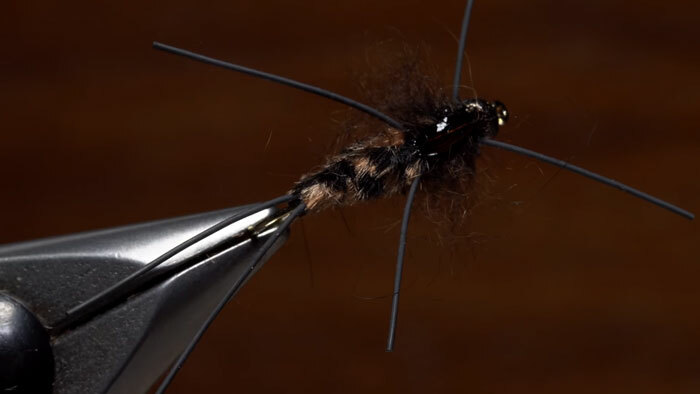 In the latest great fly-tying video from Tightline Productions, Tim Flagler ties a variation of the venerated Pat's Rubberlegs, which he has previously featured. The "plus" in the name here . . . The post Video: How to Tie the Pat’s Plus appeared first on Orvis News. Welcome to another Orvis Job Openings announcement, where we update you periodically on the opportunities to be a part of the Orvis team. If you follow our social channels, you’re probably already aware of what a great place this is to work—from the . . . The post Orvis Job Openings 04.16.19 appeared first on Orvis News. Do I have a lucky fishing hat? I’ll only answer that question if you answer it first. It’s a delicate thing to admit to superstitions when we should be working on our double haul or stealth-emerger tactics. But let’s just say I did have a lucky hat. It was . . . The post The Perils of Lucky Hats appeared first on Orvis News. The final steps of creating a Pheasant Tail Nymph involve adding legs that sweep back from the head along the thorax. In this short video, Tim demonstrates his ingenious methods for finishing . . . 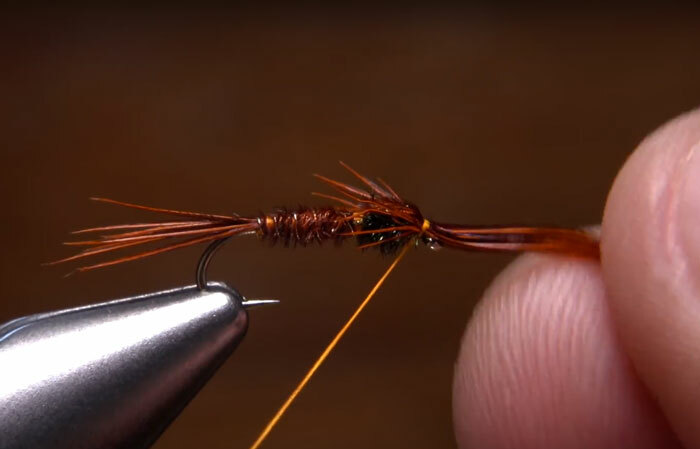 The post Video: How to Create Legs on a Pheasant Tail Nymph appeared first on Orvis News. Here is some very cool footage from the 1920s(?) of anglers steelheading on Vancouver Island. Brigadier General Noel Money fishes the Stamp River with traditional Spey gear, and it looks like he is money with a fly rod in his hands. It's tough to watch them gaff such gorgeous wild fish—something that would appall and anger us today—but this was long before the catch-and-release ethic took. . . The post Video: Amazing Archival Footage of Early-1900s Steelheading appeared first on Orvis News. Ben Sittig, a.k.a Huge Fly Fisherman, is back with another informative and humorous video seasoned with a few cranky opinions that are sure to ruffle some feathers. Sittig makes use of his Fisheries Biology degree to give a . . . The post Video: Basic Insect Identification for Fly Fishers appeared first on Orvis News.